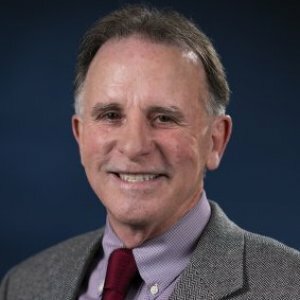 Bob Collins has over 35 years of experience in student financial aid administration and serves as WGU's Vice President for Financial Aid. Bob Collins joined Western Governors University in October 2012 as Vice President of Financial Aid. In this role, he is committed to expanding access to affordable higher education, and in 2016 WGU received national recognition from AAUA and WCET for its Responsible Borrowing Initiatives programs which encourage students to borrow only what they need resulting in a student loan default rate of 4.1 percent, half the national average. Before coming to WGU, Collins had more than 35 years of experience in student aid administration. He has been a member of several technical review panels for the National Center for Education Statistics, participated on numerous negotiated rulemaking committees, and actively engaged in the Distance Education Demonstration Program with the U.S. Department of Education. 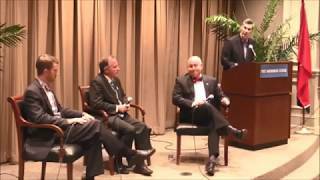 Collins is a member of the National Association of Student Financial Aid Administrators Forward 50 committee as a national thought leader on higher education public policy. He has published several topical articles on LinkedIn and has been quoted by Yahoo, Education Dive, Good Call, Huffington Post and U.S. News and World Report, among other media outlets. With college enrollment mostly flat and the number of adult learners taking online classes expected to increase, it doesn't take a business major to determine that more colleges and universities will be targeting this largely untapped student segment. Several have already made moves to that effect, including the University of Massachusetts System, which last month announced plans for a national online college focused on these so-called "nontraditional" students. But traditionally campus-based institutions can find themselves outpaced as they try to match offerings from online-only schools, especially when it comes to critical services that can help attract and retain students, such as financial aid and academic advising. The act of retrofitting these typically on-campus services to meet the needs of a new subset of students can be awkward, especially compared to the streamlined offerings of online-only institutions. WASHINGTON -- A tumultuous three months of back-and-forth between U.S. Department of Education officials and representatives across higher education culminated last week in proposals that clarify and update existing rules around digital learning and innovation. Advocates for online learning and other emerging education models found plenty to celebrate as the process wrapped up. The final proposed rules include language that mitigates ambiguity around phrases like “distance education” and “regular and substantive interaction,” which have long puzzled institutions developing programs for an increasingly diverse set of learners. When Ryan Yousefi decided to go back to school to get his degree, he knew it had to be online. He came across a news segment that featured Western Governors University (WGU), an online-only school. “I took my time and made sure WGU was accredited,” Yousefi said. Regardless of where you decide to get your college education, researching schools is a vital part of applying. Weeding through accredited online colleges might seem like tiresome work, but choosing the right school is important. There are a few steps you can take to find the right online college or university for you. Western Governors University's (WGU) official student loan default rate dropped again for the FY 2015 cohort, from 4.6 to 4.1 percent, which is less than half the national average and decreasing at a faster rate than the national average. The U.S. Department of Education released official cohort default rates (CDR) for all Title IV-eligible institutions on Tuesday. The downward trend at WGU is the result of access to affordable, high-quality degree programs combined with student financial literacy initiatives. Since its founding, WGU has graduated more than 100,000 students in 50 different degree programs. Though the average WGU student is 37 years old, the student population ranges in age from 17 to 76. Forty percent of WGU’s attendees are first-generation college students. Twenty-four percent come from low-income families. Eleven percent are active military, veterans, or military family members. And 74 percent work full time while completing their education. "Start saving as early as you can for your education. No matter how small the amount, every cent counts. A 529 savings account offers tax advantages, so it is one of the best ways to save for college," says Bob Collins, vice president of financial aid at Western Governors University in Utah. Students at Western Governors University, an exclusively online higher ed institution, get a free lesson in responsible borrowing that is paying dividends many years beyond graduation. In the two years the Utah- based institution’s Responsible Borrowing Initiative has been in place, student loans have been reduced by $250 million, according to Bob Collins, vice president of Student Financial Aid at the non- profit institution founded in 1997 by leaders of 19 western states. As the cost of college continues to increase, all of us in higher education have an obligation to work toward making it more affordable. Fortunately, in recent years, higher education leaders in Tennessee have been at the forefront of policy and innovation designed to make college more accessible and affordable. Nevertheless, student debt continues to spiral out of control. The New York Federal Reserve reports that student loan debt now surpasses $1.4 trillion. While student loan numbers are shockingly high, the first step to slowing their growth — or even reducing them — is to address the cost of college. While student loan numbers are shockingly high, the first step to slowing their growth or even reducing them is to address the cost of college. 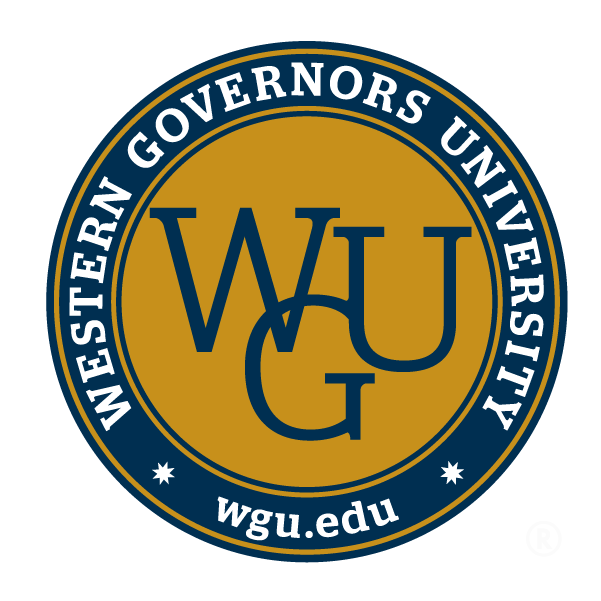 At Western Governors University (WGU), we serve nontraditional students—most are 25 or older, have full-time jobs, and are responsible for supporting a family. WGU is online and competency-based, which allows these busy adults to earn their degrees on a schedule that fits their lives. As a nonprofit, WGU is focused on keeping college affordable; tuition is charged at a flat rate (“all you can learn”) of about $6,000 per year, less than the average for state institutions ($9,400). WGU is self-sustaining on tuition, with no ongoing state funding, and our tuition hasn’t increased since 2008.